Crews were still investigating and cleaning up around 6:30 a.m. Photo by Teddy Kokoros. 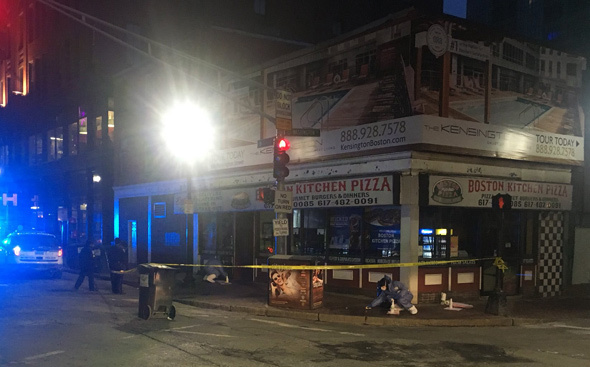 The Globe reports a man was stabbed at Washington and Stuart streets around 3:30 a.m. The area returns to the Combat Zone and the wolves take over. Even the coyotes are smart enough not to tangle with the wolves.